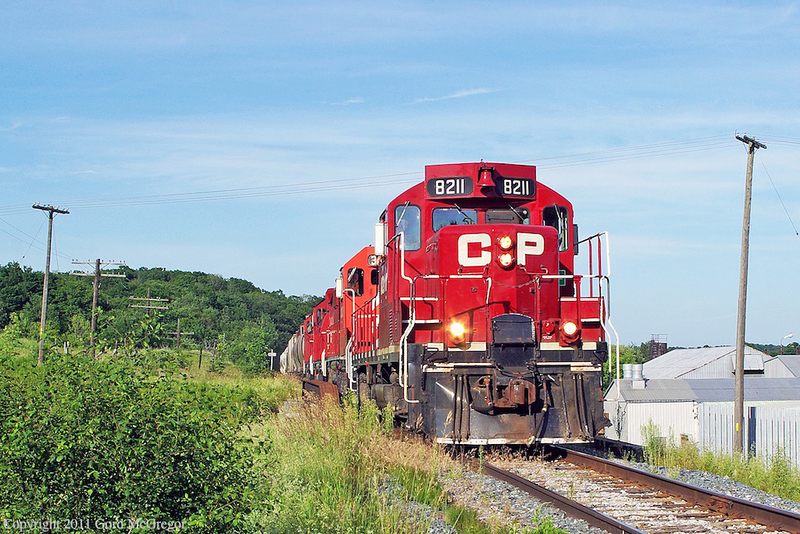 Railpictures.ca - Gord McGregor Photo: Leaving the hills of Purple Woods Conservation Area behind T07 crosses Simcoe st and Raglan Industries. | Railpictures.ca – Canadian Railway Photography – photographie ferroviaire Canadienne. Copyright Notice: This image ©Gord McGregor all rights reserved. Caption: Leaving the hills of Purple Woods Conservation Area behind T07 crosses Simcoe st and Raglan Industries.